Car shaking on the highway? Get it washed! 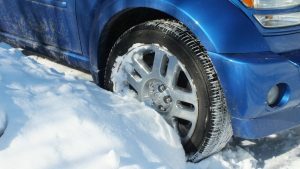 Snow and ice frozen under your car is likely the reason your vehicle is shaking at higher speeds, the Better Business Bureau said Monday, and a car wash may be a quick fix. Getting frozen ice and snow out from the undercarriage could fix the problem. Before you visit the auto repair shop, get your car washed, especially the undercarriage. The snow and ice freezes all over the bottom of the vehicle which results in that vibration you’re feeling. If your car continues to shake after a wash, your car is likely due for a trip to the auto repair shop.